LONDON (Reuters) - A move by Mike Ashley's Sports Direct to pursue a possible offer for Debenhams got a cool reception from the ailing British department store group on Tuesday which warned it would not address its immediate funding needs. Though Sports Direct did not indicate a price, its move prompted a jump of as much as 52 percent in the department store group's battered share price on Tuesday. Debenhams said its board would give any firm proposal from Sports Direct "due consideration". But it warned: "Given the timetable associated with any public offer, an offer for the company would not, in itself, address Debenhams' immediate funding requirement." 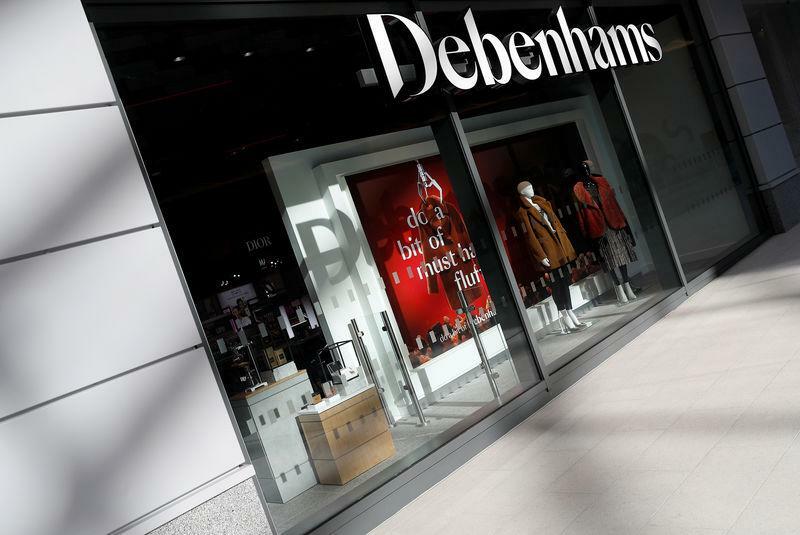 Debenhams said it will continue with its plan to seek 200 million pounds of additional funds from lenders that it detailed on Friday. It also needed a clear plan from Sports Direct of how Debenhams' existing debt – which would fall due on any change of control - would be repaid and a proposal that addresses its immediate funding requirements. "If Mike Ashley wants to make this stick, he needs to come out with an offer pretty quickly, along with a plan to meet Debenhams’ immediate funding needs," said Laith Khalaf, analyst at Hargreaves Lansdown. Ashley has already offered various conditional loans and asset purchases and is also trying to oust all Debenhams' directors, apart from its finance chief, from the board.